I notice there are a lot of blogs about food. Blogging about delicious things, what a great idea! So I will blog about all the tasty things I like, too. To start with: pigeon. I would so love to eat a pigeon. They look big and juicy, they should taste wonderful. The sad thing is, I never actually tasted one. 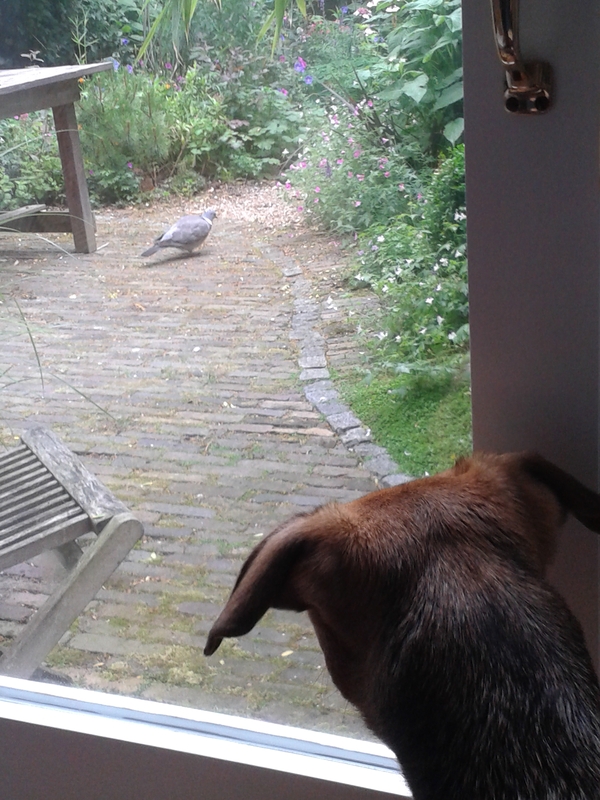 We have tons of pigeons in our garden, but I am not allowed to hunt them. It has something to do with me ruining the garden – which I don’t get. In my opinion, the garden gets better when there are little and not-so-little extra paths between the plants. One day, I Will Succeed. And I’ll let you know all about it!